The third event in the series, ConnLUG will be supporting the Middlebury Public Library over the next few months by attending LEGO® community build events on Thursday evenings, once each month. We will be working with children to build sets provided by the library, and will talk about building with LEGO as a club, building techniques, and our love of the brick! ConnLUG members are encouraged to participate in as many of the sessions as possible, as this is a great way for us to give back to our community. This session will be held at the library on April 25th from 5:30 PM to 7:30 PM. A special session will be held at the library on May 23rd, 4:30 PM to 7:30 PM for the First Annual Lego Build Competition / Once Upon a Build – #213215. ConnLUG members will judge the competition and award LEGO trophies to the winners. LEGO®, the LEGO logo, and the Minifigure are trademarks and/or copyrights of the LEGO Group. 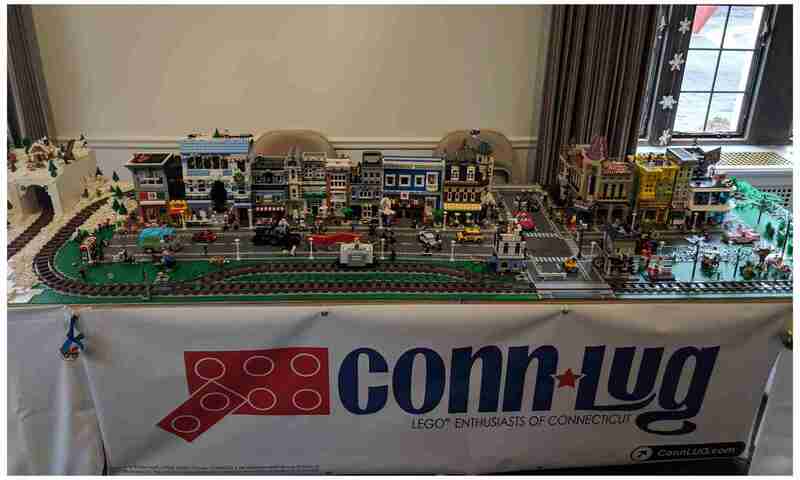 ConnLUG is an independent group of fans of LEGO products from across New England. The LEGO Group does not control, direct, or endorse the activities of ConnLUG.